Real People. Real Stories of Love and Commitment. We are your neighbors, co-workers, family members, and friends. These are our stories. 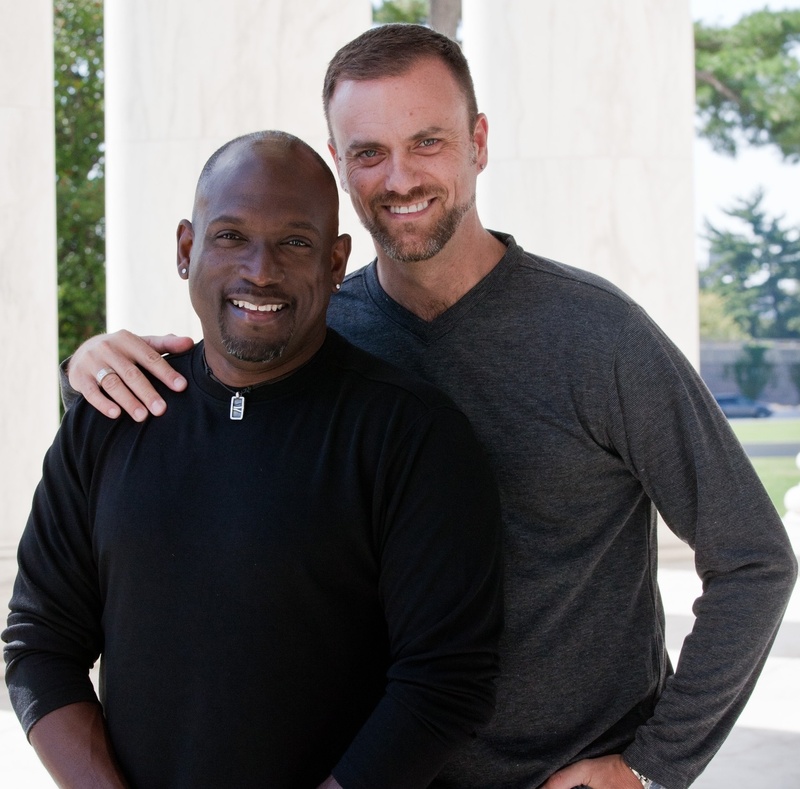 We hope that you’ll be touched and inspired by these voices of real couples from all backgrounds talking about why marriage matters to them. 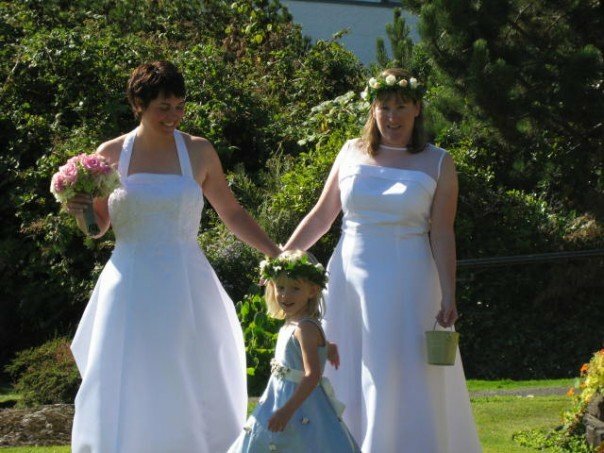 Kate and Nicole say they're doubly lucky – because they found each other, and because they were able to get married in their home state of California during the brief window when it was legal. Just about every person who's in a serious relationship remembers that moment – the time when they realized that the other person was "the one." For most, it’s an everyday moment when it hits that you would be happy to spend the rest of your life with this person. That's what happened for Leslie Herod and Katina Banks, who have been together for seven years. Before they got together, the chances of Diana and Sako Brockmann bumping into each other were pretty low. Diana lived in Washington, DC and Sako was 4,300 miles across the Atlantic in her native Finland. Luckily, Sako loves travelling to exotic locales – and taking lots of pictures. It's a question that every couple gets: "So how did you two meet?" Thom Watson and Jeff Tabaco have an answer that's pretty common these days – they met on the internet. But their story has a twist – they found each other not through an on online dating site, but thanks to their personal blogs. You could call it a 21st century love story. 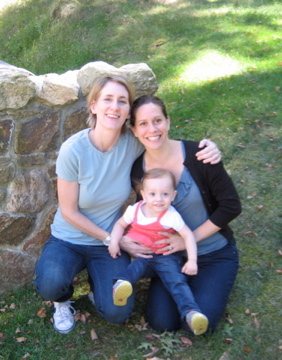 Together 30 years, Carmen and Anisia Machado eagerly awaited New Jersey's Supreme Court marriage decision. "We were next door neighbors since grade school, we always liked each other and got along," says Carmen of their meeting. "Our parents and families tried to keep us apart but somehow we survived it all." 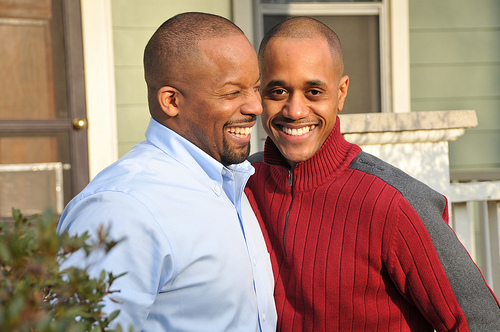 For Chris Williams and Juan McCoy, family definitely comes first. "As parents, we do everything the kids want to do, from tennis to basketball to just being out in the yard," says Juan. They've got five children aged 9 to 14. "We eat dinner together around a big table every night, just like a typical TV family from the 50's – which is not so typical these days," says Juan. 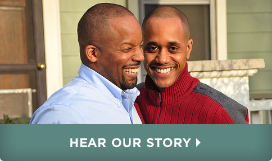 But as a gay couple, Chris and Juan can't get married in their home state of Maryland. Darin Henderson and Carl Cox aren't the only ones who are excited about their upcoming wedding day. And we're not talking about their mothers either, who are over the moon about it. With votes from thousands of strangers, the couple from DC managed to win a $100,000 contest to pay for their whole wedding. 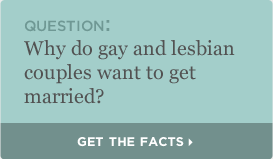 Why do people get married? There are plenty of practical reasons that might not be so romantic – but for most of us, it's to bring a relationship to the next level. It's a declaration of love and commitment in front of family, friends, and the world. That was the reason for Chris Herbert and Tim Long. Their wedding north of New York City last fall happened to get a bit of a higher profile by being featured in Martha Stewart Weddings (Chris is Martha's nephew).